The Road to Baenum – GHOST PARTY! 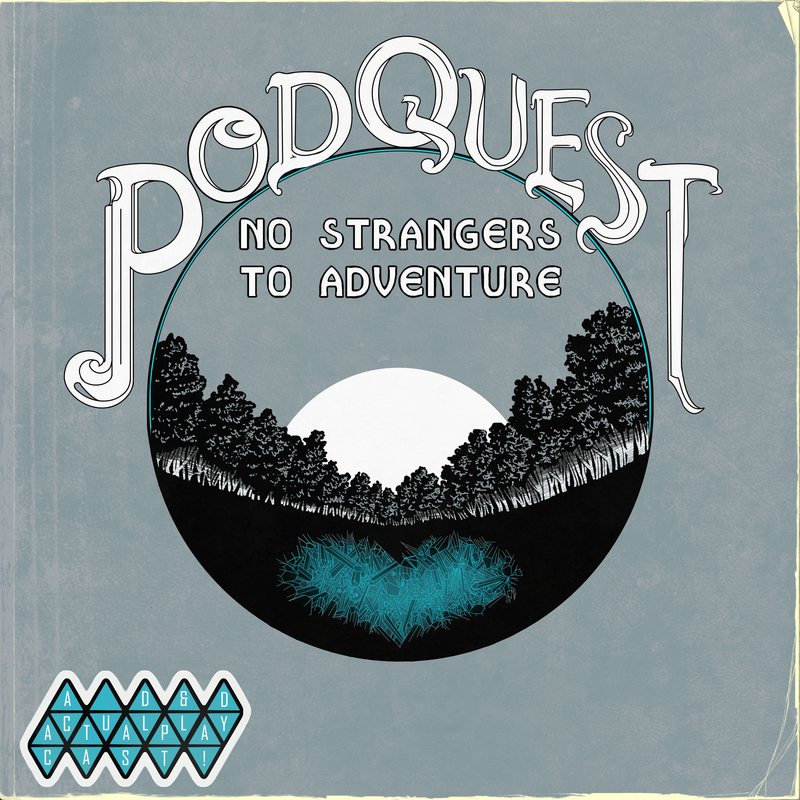 This is the route the party takes in On the Road: Fidgety Digits, the fifth episode of our podcast Podquest: No Strangers to Adventure. This post may spoil some things if you haven’t already listened to the first five episodes! The dotted line follows the main road most traffic takes upon arrival to Rinsland. From Zlys Port, the only safe place to dock on the entire island, the main road takes the smoothest approach over rolling fields to later mountainous terrain to the capital Feudersfall, tucked in near the steep cliffs northwest five to six days travel away. The party’s carriage ride takes them about a day’s travel from the port to Baenum, the second largest town in the country. Baenum is a town of craftsmen, merchants, and an enchanter that naturally developed as the first major waypoint on a long trip to Feudersfall. 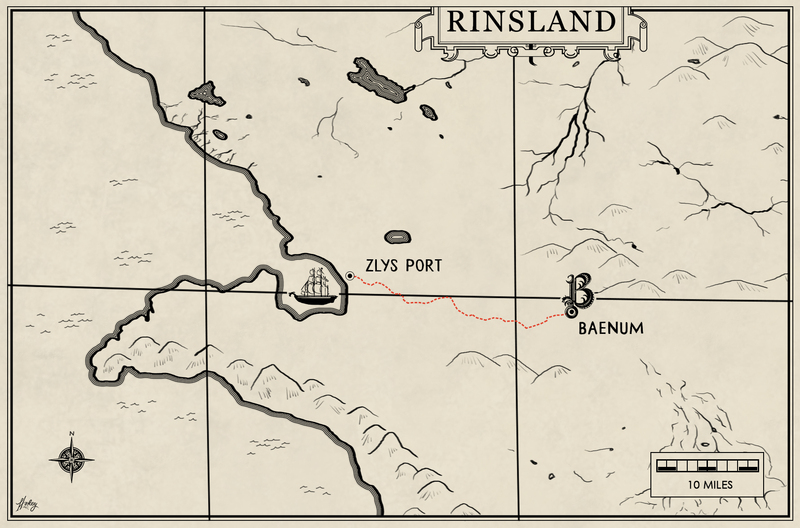 This is a close-up of the general map of Rinsland, that will continue to be detailed with landmarks and populations as the story evolves. Detailed maps of towns will follow as the party explores all the nooks and crannies.